Excellerate version 5 – The best Excellerate yet! Have you upgraded to Excellerate Version 5? It’s the best Excellerate yet! Make sure you have the latest and greatest improvements! Now you can send text messages to all of your members, leaders, volunteers, or any group of people – directly from Excellerate! Save money on postage, by emailing your contribution statements. 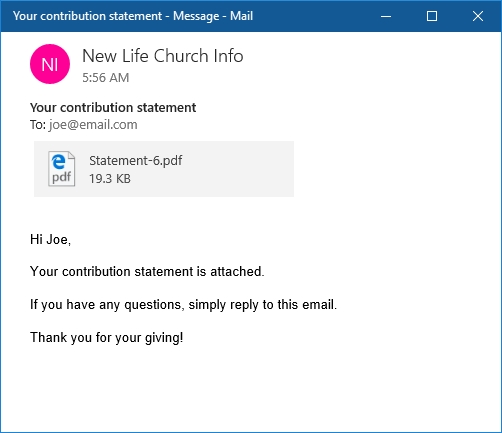 You can use the exact same statement style that you use for printed statements, so your emailed statements will look identical to printed statements. Get a quick overview of the critical health factors of your church. Compare this week with last week an last year. 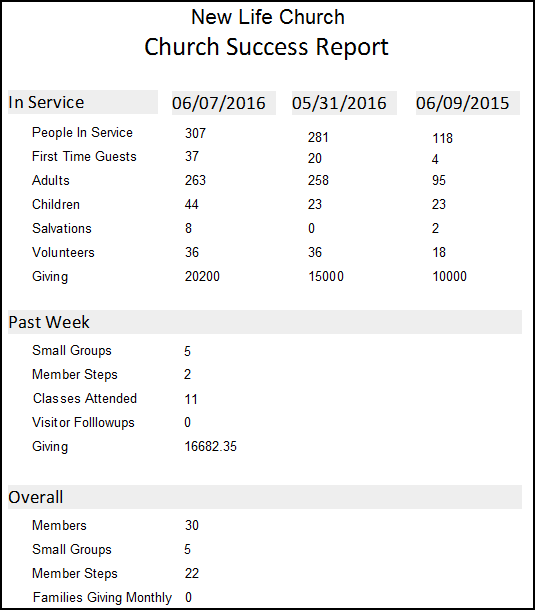 Every church is different, so this report can be customized measure what’s important to your church. 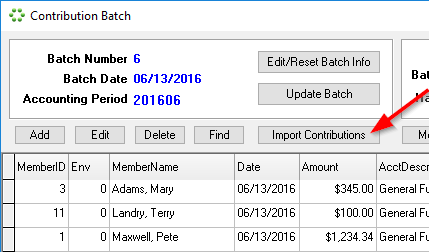 No more wasted time with manual data entry. Excellerate quickly imports giving data from most online giving services. 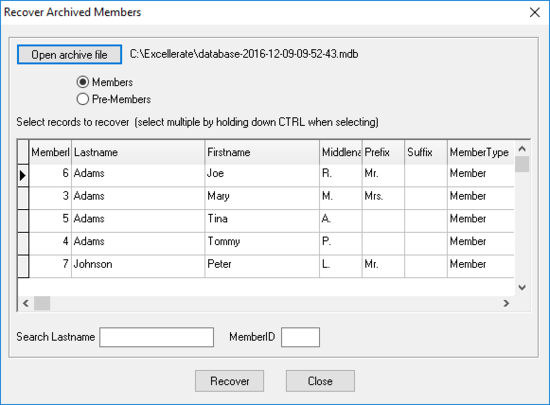 Now you can archive old records and remove them from your active database. If members come back, you can easily recover their information. One of our most handy features! You can easily pull up a view, or several views, tag everyone, then move them all to an organization, add a class, or member step! Now you can easily move information between members. Sometimes you my accidentally enter a member twice, and record info in both records. 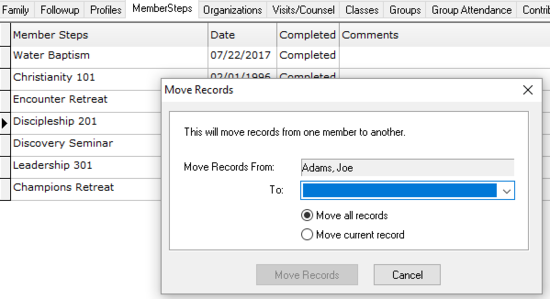 This neat feature helps you move Steps, Profiles, Organizations, Notes, Attendance to the correct member, then delete the duplicate.